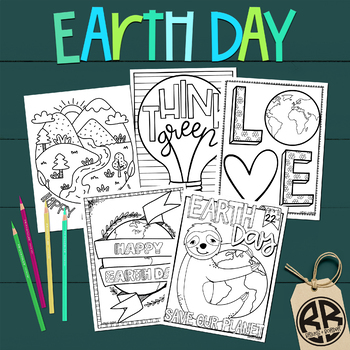 Bring ART into your classroom this Earth Day! 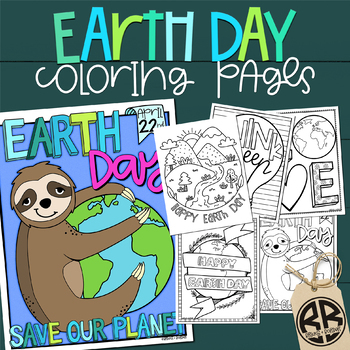 Your Students will ADORE these 5 Coloring Book Pages for Earth Day, fresh and modern on their own, but will pair perfectly with all Earth Day activities! Coloring sheets are engaging for students, easy for teachers, and are designed by me (nope, not just clip art)! These detailed coloring pages make great rewards, indoor recess activities, brain breaks, morning work, emergency sub plan filler, fine motor practice, creative centers, story starters, recycling lessons, bulletin boards and more! Each coloring page is hand drawn from the heart and designed in 300 dpi for crisp, clear printing and display! Be sure to CLICK THAT GREEN STAR to follow + Feedback earns you credits to use on future TPT purchases!